You are here: Home / News / Featured / Illinois Represents in Vegas! 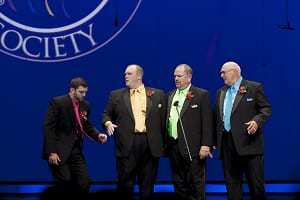 [W]hile the Illinois District competition representatives did not bring home any hardware from the Barbershop Harmony Society’s 76th annual International Convention, all three groups that crossed the stage have much to be proud of. Bloomington’s Sound of Illinois Chorus placed 14th in the chorus contest, two spots higher than last year, and set a modern chorus record in international competition with a score of 84.3. 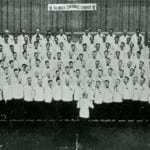 That tied the Sound of Illinois’ mark at the 1960 International Convention in Dallas, when the chorus placed 4th, and was second only to their score of 86.5 in 1957, when the chorus placed third in Los Angeles. The New Tradition from Northbrook also improved over last year’s score, edging up to an 83.2 from last year’s mark of 82.7. Due to a tough field, however, the chorus tied with THX (Sunrise, FL chapter) for 18th place, down from 11th in 2013. Both choruses have demonstrated consistent improvement over the last five years, and that promises to make this fall’s district chorus contest, and the 2015 International in Pittsburgh, truly exciting for Illinois barbershop fans. In quartet competition, Illinois was well represented by The Committee (Bloomington chapter), who stepped in with less than a week’s notice when district qualifier After Hours was forced to withdraw due to illness and the imminent arrival of a new baby. Although the scoresheet shows The Committee at #53, people at the contest thoroughly enjoyed their comic set, “Elmer’s Tune” and “Town in Old New Hampshire” (a classic Roger Payne original made famous at the 1980 International by his quartet, Four Under Par). 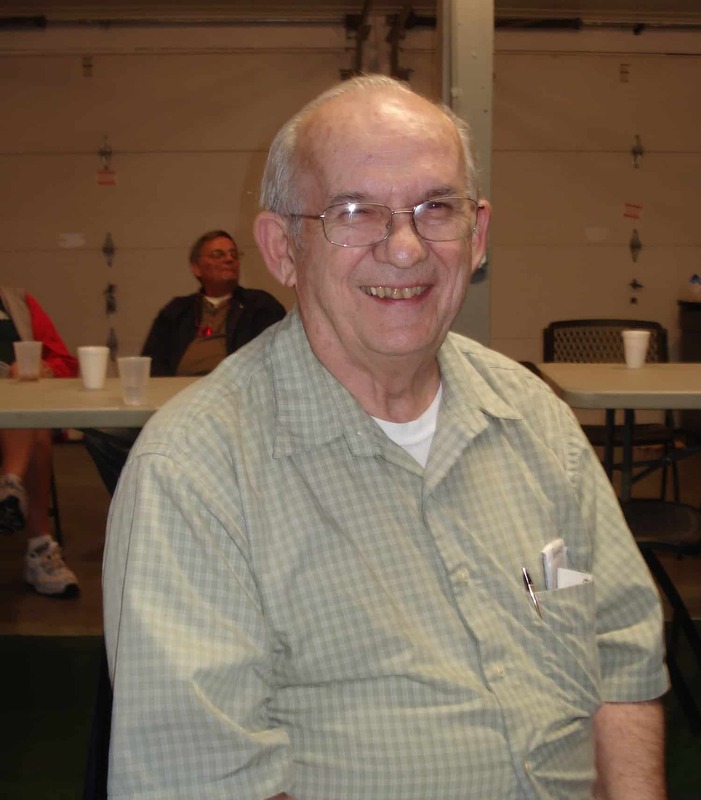 One other note: Coles County Chorus co-founder and co-director Tom Woodall was honored by his colleagues in the society’s judging community during the convention. 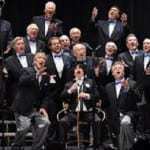 Tom was designated a Judge Emeritus in recognition of his 43 years of service as a certified judge in the Barbershop Harmony Society, a tenure that included seats on the judging panels for four international competitions. For more reports and all the scoresheets from the Las Vegas convention, log on to the society’s official convention page. Details on the Illinois District’s 2014 Fall Convention in Bloomington are forthcoming. Remember, this is for the district chorus and quartet championships and the qualifying round for the 2015 International quartet and chorus competitions. https://www.illinoisdistrict.org/wp-content/uploads/2014/07/mgm_slider.jpg 260 595 Derek Gilbert https://www.illinoisdistrict.org/wp-content/uploads/2018/09/IDO_Logo2.png Derek Gilbert2014-07-15 18:06:202014-07-16 07:10:03Illinois Represents in Vegas!